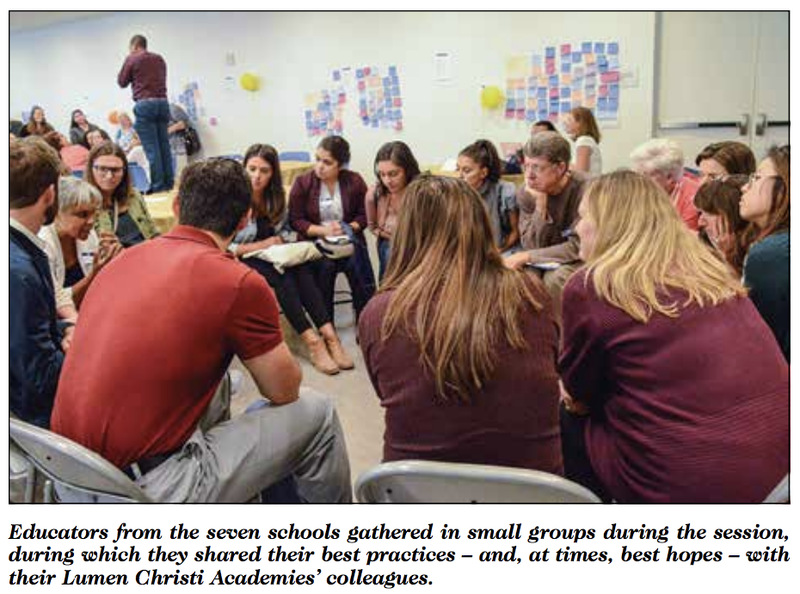 Seven schools in the Diocese of Oakland are well on their way to becoming a guiding light in the future of Catholic education. Under the banner of Lumen Christi Academies, the schools, which serve about 1,200 students, are dedicated to making excellence in education accessible to everyone, regardless of ZIP code. “Who we are will be determined by us, all of us,” Rodney Pierre-Antoine, executive director of the academies, said to a gathering of educators of the seven schools as the school year began. “That’s how a network is formed. Rodney Pierre-Antoine is the founding executive director of the new Lumen Christi Academies, a network of seven elementary schools within the Diocese of Oakland. "Rodney's deep faith and commitment to Catholic education will help us create a sustainable, thriving network so all our children can receive the very best academic and faith formation," Bishop Michael C. Barber, SJ, said in announcing the appointment on May 9. Seven Catholic schools in the Diocese of Oakland will be flying a new banner during Catholic Schools Week, Jan. 28-Feb. 3. Queen of All Saints, Concord; St. Anthony, Oakland; St. Catherine of Siena, Martinez; St. Cornelius, Richmond; St. Elizabeth, Oakland; St. Paul, San Pablo; and St. Peter Martyr, Pittsburg, have been designated Lumen Christi Academies. The academies begin this fall.